Falcon 030 the last computer manufactured by Atari featuring a Motorola 68030 Microprocessor, DSP, MIDI Serial / Parallel and LAN ports Internal IDE hard disk, SCSI interface 1.44MB Floppy with up to 14MB of system RAM. 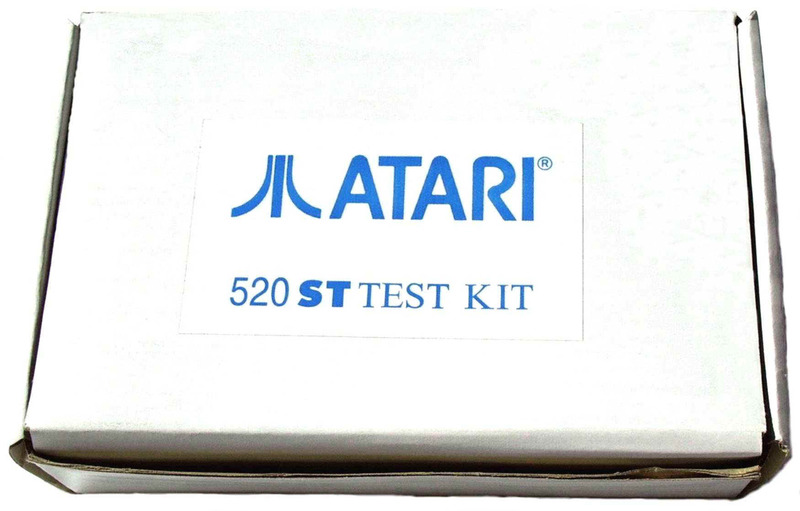 Best Electronics Compact Flash Upgrade Kit for the Atari Falcon 030 Computer. Best has been hearing from some Falcons hackers for some time now, who have adapted Compact Flash (CF) storage cards with a modified adapter card for use with the Atari Falcon to replace the Internal IDE Falcon Hard Drives. Why use Compact Flash storage technology on the Atari Falcon? Now with Compact Flash storage cards technology is maturing and are now being mass-produced, CF storage cards prices have dropped in recent years. Solid State (no moving parts) fast electronic storage of your Falcon data Vs a Mechanical spinning Internal Hard Drive mech, which as we all know, all Hard Drive Mechs will wear out (with so many hours of use) or just outright fail on you. Have you ever heard of a Compact Flash Storage card failing? With a Falcon compact Flash upgrade kit installed inside your Falcon 030, you will find your Falcon making one less Internal Hard Drive noise. Now you will only hear the occasional internal Floppy sounds and the internal Falcon cooling fan only! The Best Falcon CF upgrade board mounts to the existing Atari Falcon Internal Hard Drive bracket, no other new hardware required. Generally in most cases (depends on the Atari Falcon formatting software and Compact Flash card) you will find faster file access speeds and shorter file read and write cycles. Best Installs a State of the Art very Fast Falcon Boot up program on each Compact Flash memory card included with each Falcon Compact Flash upgrade Kit. Sam C. of TX. By Sam's low Best Customer number, we can tell he has been a Best Electronics Atari customer for over 20+ years now. He recently placed back to back Atari orders. On his second Atari order, Sam ordered the Best Falcon Compact Flash 2 GB upgrade for his Atari Falcon. Placing his third Atari order in a row with Best he said: "The Best Electronic Compact Flash upgrade is phenomenal. I regret waiting so long before acquiring one. It was an effortless installation thanks in part to the included printed, very detailed instructions and accompanying photos. Those are what made it “fool-proof” for me. Great job! Bravo!!!" and im very happy !!! Thank you!!!!" Follow up Comment "Im very happy with my 2 GB Falcon Compact Flash Upgrade Kit!!! Excellent quality and the best documentation ever seen!!!! Thank you!" Edward B. of IN By Edwards low Best Customer number, we can tell he has been a Best Atari customer for over 20+ years now. Edward ordered one of Bests Falcon Compact Flash (Solid state replacement for the Falcon internal 2 1/2 inch mechanical Hard Drive mech.) upgrades kits. "Just wanted to say that installed my CF upgrade for my Falcon. It is wonderful and works like a charm. I cannot believe the speed in the boot process. Now all I have to do is setup the boot partition. Thanks much for this and thanks much for the very fast service. I did not expect the upgrade to arrive in just two days time. You guys are awesome. Thanks again"
A Compact Flash Falcon storage Upgrade draws less current (less strain on the internal Falcon Power supply) Vs an internal Hard drive mech. Compact Flash cards do not generate as much internal heat compared to an always spinning / running Internal IDE Falcon Hard Drive mech. Best Electronics Falcon Compact Flash Upgrade Kit has been Tested and Engineered to be easy to install and once installed, maintenance free. In most cases if you can change a tire or battery on a car and have a Phillips screwdriver, you can install a Falcon Compact Flash upgrade Kit inside your Falcon 030 Computer. A solder less, plug in upgrade. The Best Electronics Falcon 030 Compact Flash Upgrade Kit comes with a 2 GB Compact Flashcard (2 large Falcon partitions installed and we can custom set up any more numbers of Falcon smaller partitions you request at time of purchase), Compared to the stock original Atari Falcon 030 80 MB Internal IDE Hard Drive, the 2 GB Compact Flash card is a 25X increase in storage capacity for your Atari Falcon. The Average Atari Falcon user will probably never use all of this new storage capacity up! Larger CF Cards like a 4 GB version will have 4 partitions or more installed. The default Max Falcon Hard Drive / Compact Flash partition size is 1 GB or less. With Compact Flash Cards getting larger in GB size and prices dropping, all you have to do to upgrade your Best Electronics 2 GB Compact Flash Falcon in the future is unplug the 2 GB Compact Flash card and Atari Falcon format the new larger Compact Flash Card slide in card. The Best CF Falcon adapter board will accept Type 1 and Type 2 CF memory cards and also the SDHC, miniSD, microSD, and RSMMC with a CF type 2 adapter / conversion card (CF card size adapter card with slots for the other version / standards of micro memory storage cards above). Best Electronics has done all of the prep work on the setting up the CF memory card for use with the Atari Falcon 030 computer. It can take an average of 1 to 3 ½+ hours alone to Falcon Format and Sector scan a new CF memory card. 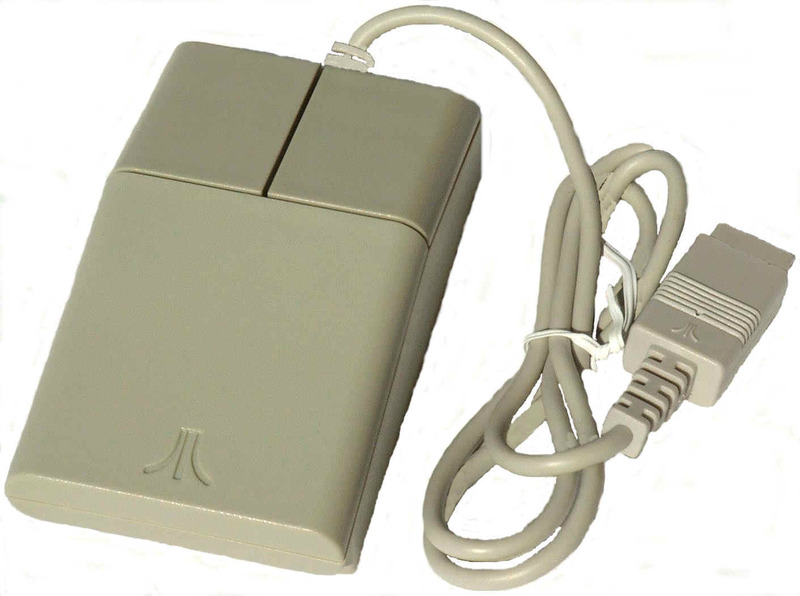 So when you get your Best Electronics CF Falcon drive, it has been Falcon formatted, sector scanned with the added software feature of backward compatibility for Atari ST TOS 1.00, 1.02 and 1.04 operating systems installed and is Lock and Load ready to drop into your Falcon and boot up from day one. The Best Electronics Falcon Compact Flash upgrade Kits comes with a Compact Flash adapter card modified for the Atari Falcon, 2 GB Compact Flash card installed. The Falcon CF upgrade Kit comes with a well-documented 11 page installation manual with pictures and step by step instructions for the novice installer or Falcon expert. Oyvind W. of Norway. Oyvind is an old Atari ST Midi musician in Norway. He ordered Bests better New ST Truemouse replacement ST mouse, a fully populated 16MB Falcon plug in Ram upgrade and Best's Falcon 2 GB Falcon Compact Flash upgrade. "I just received my box of Atari Goodies, and I must say it has been an absolute pleasure doing business with you! World class quality and service! 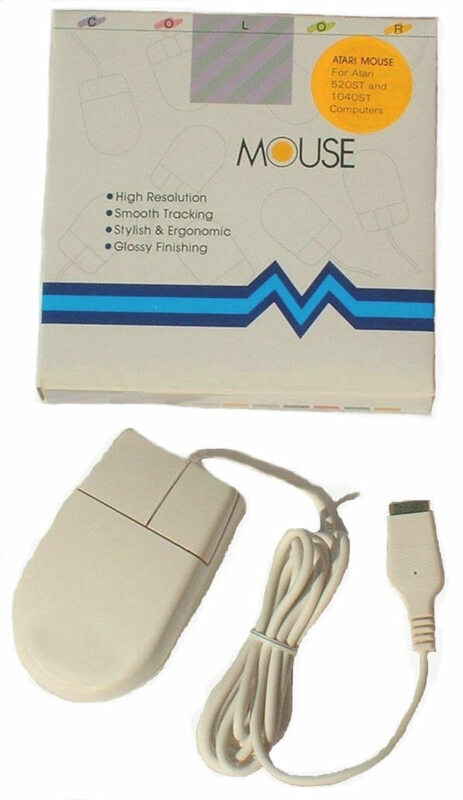 The 14MB ram kit worked perfectly, and for the first time since 1993 the Falcon doesn’t crash playing large tracker tunes, Also the lighter Mouse worked fine." When Oyvind went to install his new Best Falcon CF upgrade, he found his Atari Falcon was missing the old Falcon Hard Drive 44 pin micro pitch I/O cable. "I got a 44 pin micro now so the CF card works perfectly!" Internal Falcon IDE 2 1/2 inch Hard Drive mech. complete installation Kit. 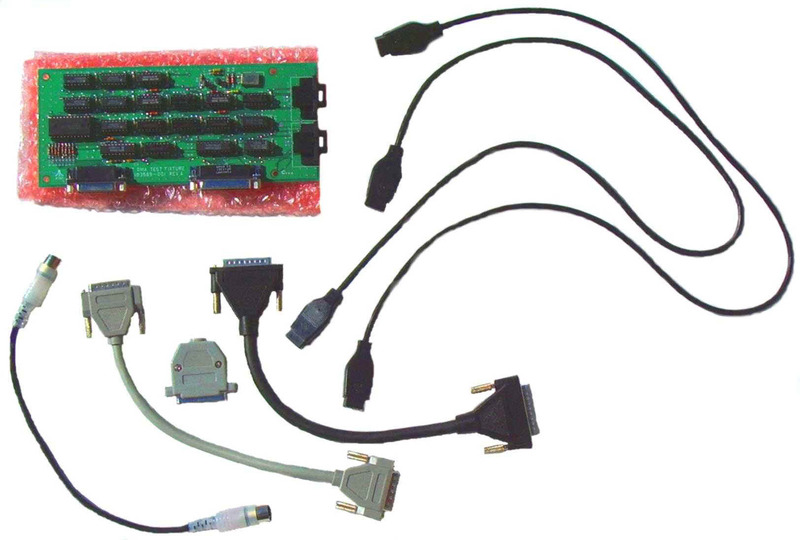 Kit includes bracket, screws, 44 Pin HD IDE cable and Atari installation Instructions CB102411 Sold Out! Falcon SERIAL PORT Shorting Plug Required for above Falcon Diagnostic Cartridge. CB102801 $8.00 ea.